Esquire blog discusses a famous brewer’s secret for staying (relatively) sober. We test it out. I figured I’d test the method myself, and not just because it would give me an excuse to drink too much. First, how does it work? Koch told me that for years he has swallowed your standard Fleischmann’s dry yeast before he drinks, stirring the white powdery substance in with some yogurt to make it more palatable. And before I get into this, some important caveats. This is not scientific. Not in any way, and especially not in the way that most people think of the word, which is to say complex quantitative research. It’s not even good qualitative research. My personal situation may be a confound. I have an inner ear disorder that can make anything balance-related tricky. I’m sure I can look drunk trying to walk even when I’ve had nothing to drink and a beer or two can knock me sideways, although my mind isn’t drunk at all. So your mileage may vary. Finally, my results may not be reliable. I think they are, but self-report is always suspect and I imagine self-reported results of drunkenness by people who have had a few are especially unreliable. I tried it out for two consecutive nights. Before each beer I had a teaspoon of yeast with yogurt. On night one I started with a pint of brown ale (5.25% ABV) with dinner. After dinner I had a 12-ounce Belgian ale (10% ABV) and 22-ounce (9% ABV) dark strong ale. My impression is that I felt less effect after the first beer than normal (this is a beer I have with dinner – the B-Town Brown at Elliot Bay Brewing – fairly often, so I have some experience to compare it with), although a pint of 5.25% isn’t a big deal, so this is hardly conclusive. After the Belgian I felt – well, like I’d hardly had anything. Hmmm. This could be working. By the time I was halfway through the bomber of strong ale, though, I was feeling the effects. I don’t believe I was as impaired as I’d normally be, but there was a clear ramp-up from the end of the Belgian to the end of the dark ale. Could this suggest that the yeast has different effects at different points along the curve? On night two I again began with the B-Town, and the results were the same. I then had three 12-ounce cans of Oskar Blues’ Old Chub Scotch Ale (8% ABV). I’d expect to be feeling it pretty good by the end of this regimen – not plastered, but given my inner ear issues balance should be an issue. What actually happened was that I felt maybe half the effect I’d expect. Conclusion: While anecdotal and far from scientific, two nights of the yeast-n-yogurt method suggests that there just may be something to Owades ideas. More research is indicated. Here’s how you’d go about doing some reliable research. I’d start with a sample size of 1000, split into experimental and control groups. Each subject would take a battery of motor skill and mental acuity tests before the experiment began to establish a baseline. Then all subjects would drink five beers over a set period of time, with the test group consuming a teaspoon of yeast before each one. After each beer we’d readminister the battery of tests. When complete, we’d be able to compare test performance of subjects who’d taken yeast with those who hadn’t. We could then tell if there was an effect, and if so, how much. We’d be able to tell if the effect was linear or if it was more effective at various points in the process. We’d then conduct more experiments, if an effect was found, to see if it worked for wine, for various distilled liquors and liqueurs, etc. We’d evaluate whether it worked equally well for all beers, or if it was more effective for light beers vs. dark ones, high-ABV vs. low-ABV, lagers vs. ales, hoppy vs. malty, and so on. Does it work differently for men and women? Does weight matter? Age? You get the idea. This isn’t just a study, it’s a series of studies. And if somebody out there will get me a grant I’ll be happy to conduct the research program. Hey, Mike Pecaut – you’re good at writing grants, right? 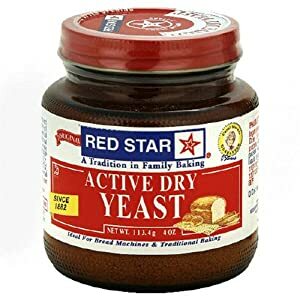 If this subject interests you, feel free to buy some yeast in your grocer’s baking aisle and test it out with whatever alcoholic beverage you like. Then report back here with your findings. Sam Smith Photography – now live! Just an experimental note: Both groups would have to have the yogurt (or whatever it is you are using to make the yeast palatable). And they can’t know who’s getting the yeast and who wasn’t. Neither can the person administering the tests. Or, basically, double blind. You do know how many research methods classes I endured in my academic career, right? I may not be you, but I’m not a chimp, either. Sheesh. I got your double blind right here, bub. I think longitudinal testing is needed here. I volunteer to do this each night for about 20 years. I may try this tonight. Just in the interests of science, you understand. I admire everyone’s commitment to science. Just checked it – no yeast. Looks like it’s a combination of vitamins and feel-good wankery. I have experimenting with yeast mixed with pom drink for a week and I really notice a difference. The main difference is in the morning I feel great, wake up earlier and feel like I haven’t had any beer at all. Love Aaron’s article. How do you know how much yeast do you take? As it says in the article, a teaspoon per beer.